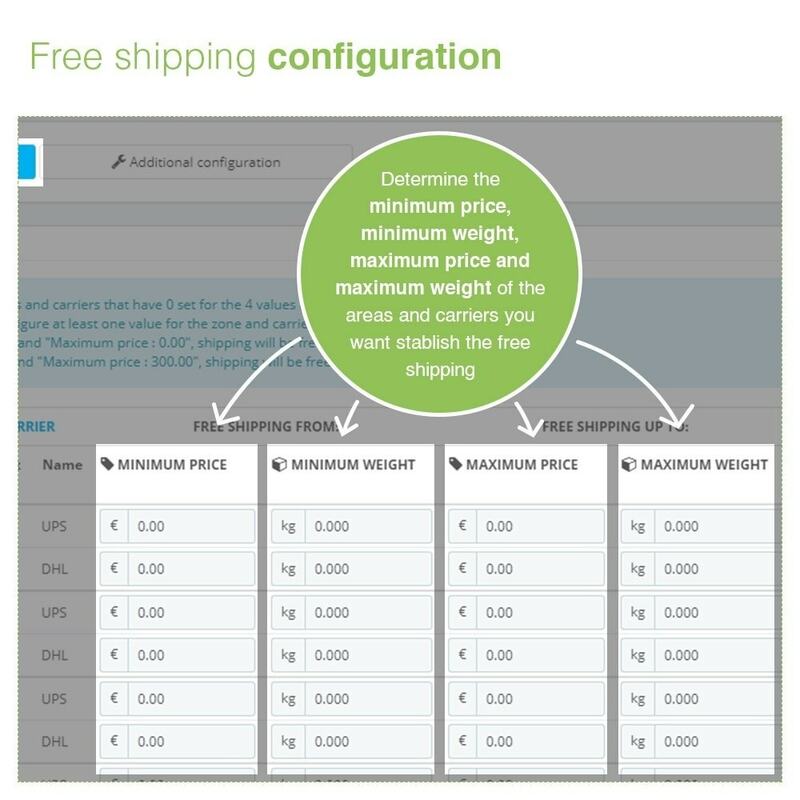 The module display a table that contains all the geographic zones and carriers that you have set in your PrestaShop store and you just need to set the minimum price and/or minimum weight and/or for maximum price and/or maximum weight for each zone and carrier (see screenshots). 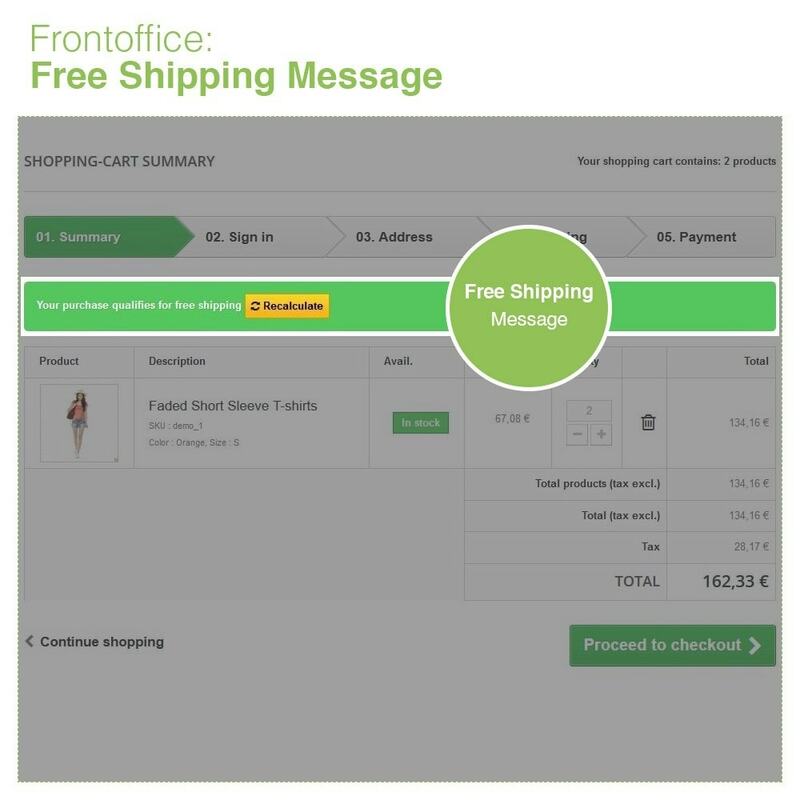 Ex: if you set "Minimum price : 50.00" and "Maximum price : 0.00", shipping will be free from 50 to infinity. 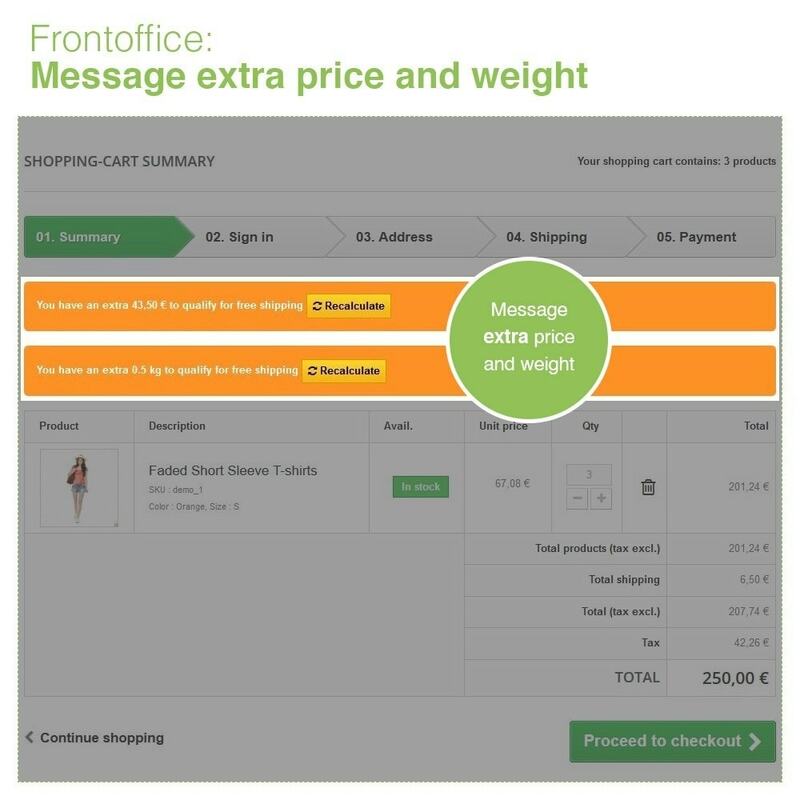 Ex: if you set "Minimum price : 0.00" and "Maximum price : 300.00", shipping will be free from 0 to 300. 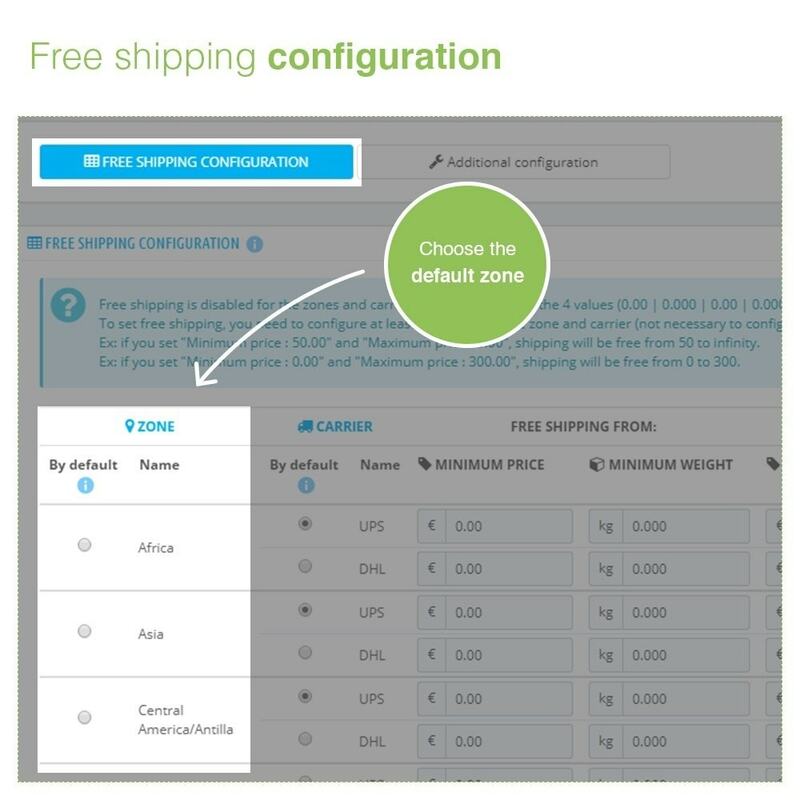 Our module allows you to set a free shipping rule for the zones defined on your shop (menu "Localization" -> "Zones"). 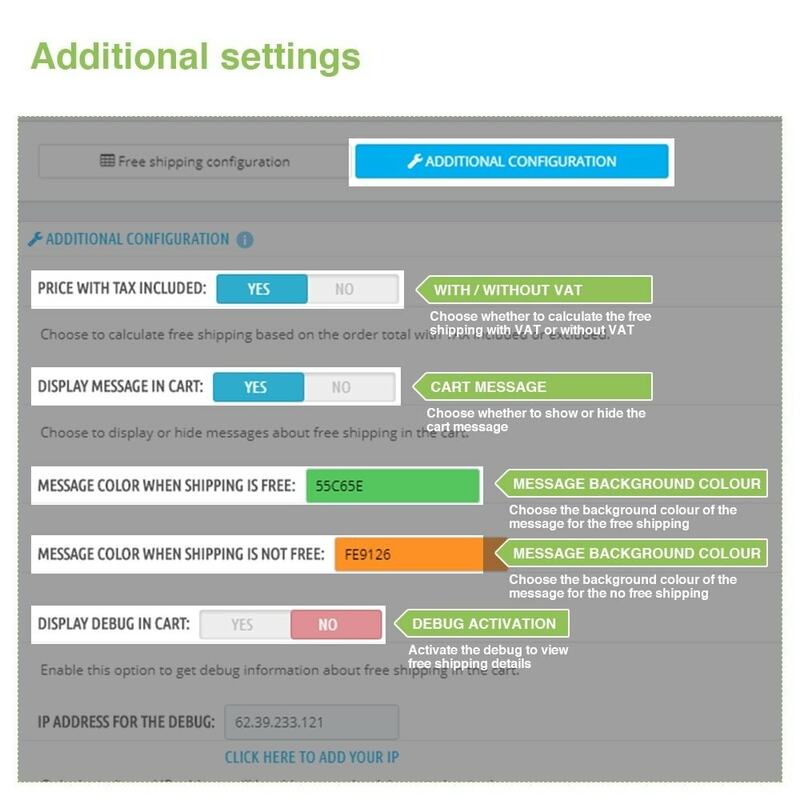 You can easily create the zones of your choice in the "Zones" tab and create all the states/counties you need from the "States" tab and then associate each one of them to one of these zones. 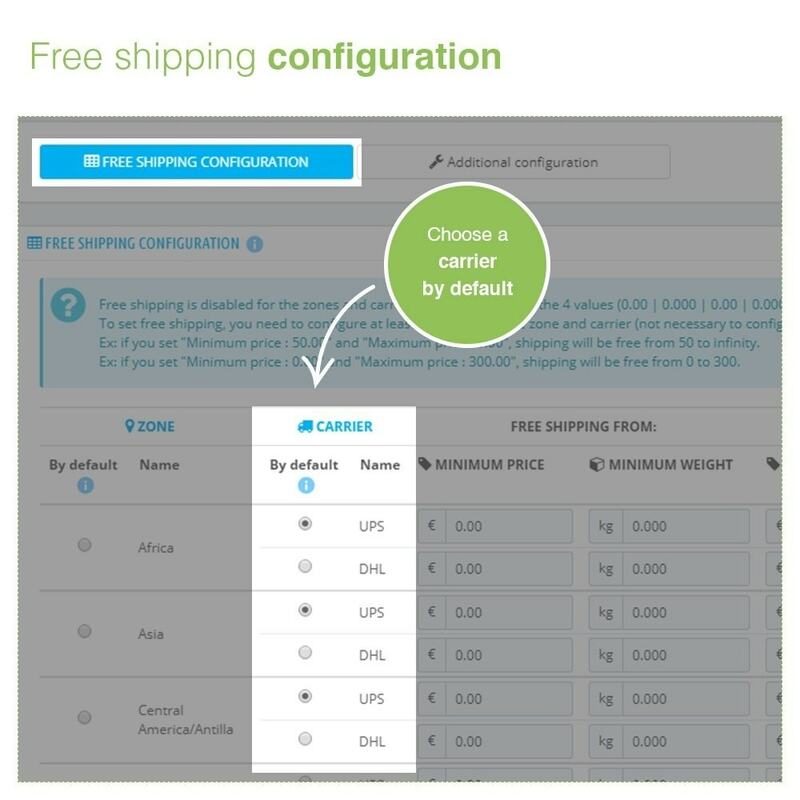 Note: It's not possible to configure free shipping by city or zip code. 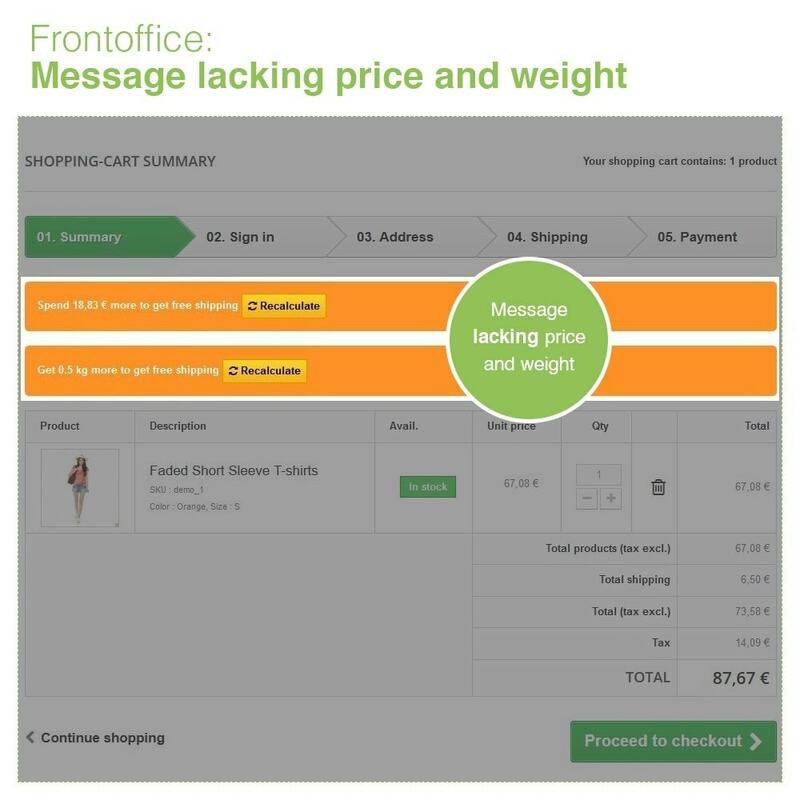 Messages in shopping cart: The module automatically adds messages in the shopping cart to inform users how much money or how many weight to need to add or remove to get free shipping (you can disable them from the module interface). 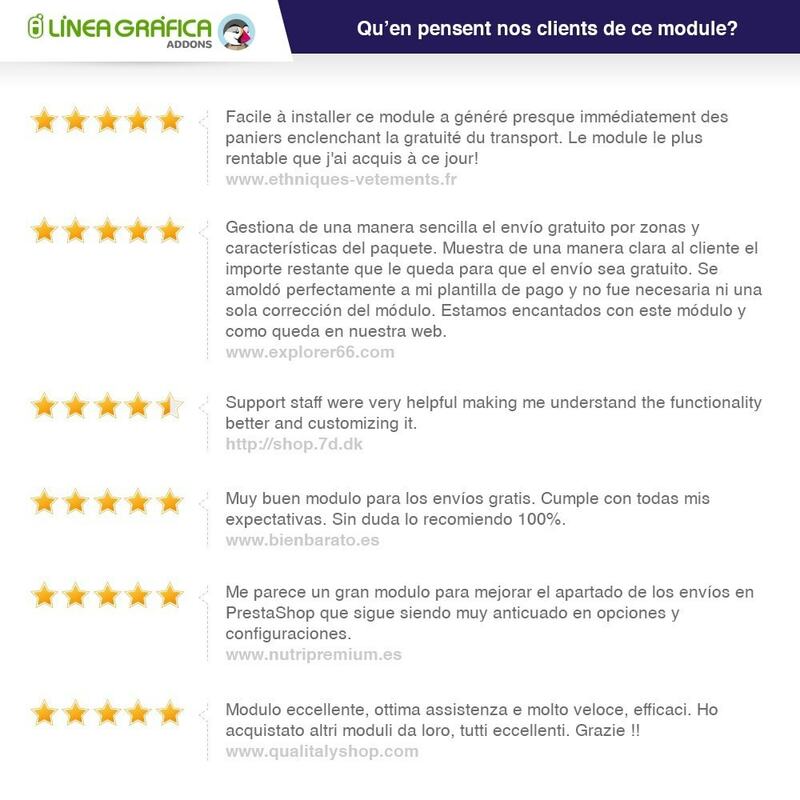 With our module, you can now minimize shipping costs and encourage your customers to reach the minimum threshold. 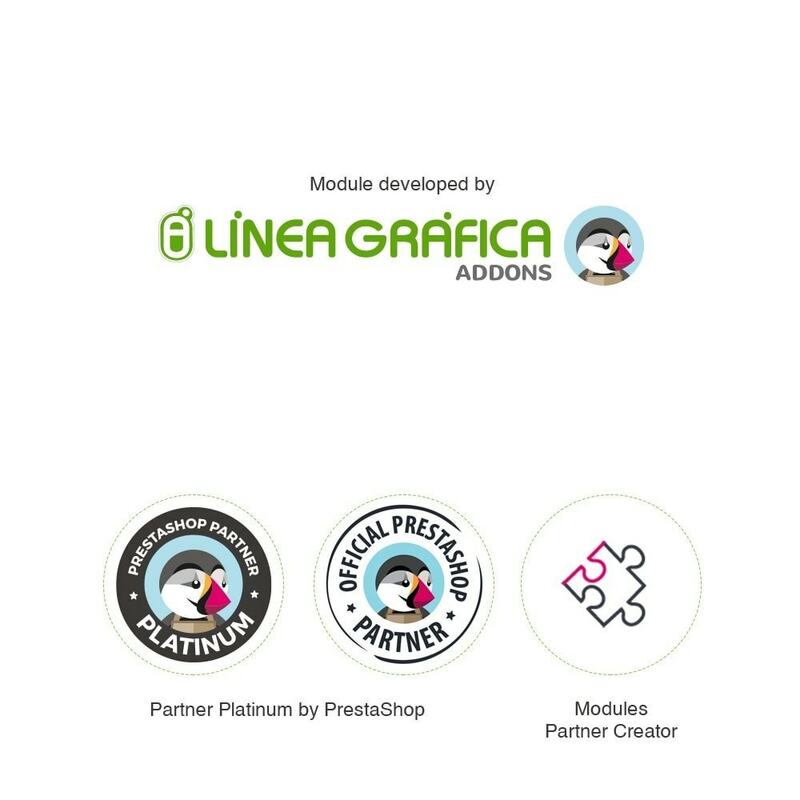 The module is compatible with multistore and allows you to set different free shipping conditions for each one of your shops. Not compatible with: the module "EnvoiMoinsCher"
The module creates automatically an override of the Cart.php class so that you don't have to modify anything.